An abysmal effort in attempting to bring meaning to style, Computer Chess goes no further than a tedious exercise in stretching (bad) ideas until they tear. The film’s major selling point is that it was filmed using ancient video cameras, documentary style, in order to capture the spirit of the wild frontier of technology in the late seventies. But spirit seems to be the farthest thing from the filmmakers’ minds in this case; instead, C-grade characters with B-grade potential are burdened with a D-minus concept. And we’re given the raw result. 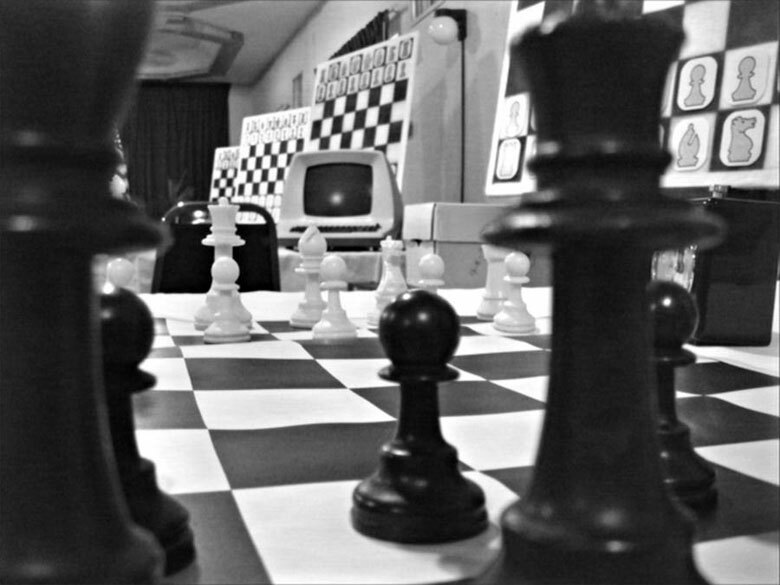 Computer Chess is set at a grimy hotel in the middle of sunny nowhere, where professors and graduate students from all over the nation (world?) have convened to pit AI against AI on the fairest battlefield of them all: chess. The technology, however, is not the focus of the movie. It barely registers as a footnote. Instead, Bujalski is more interested in the interactions between the socially inept main characters; the “humor” of the movie is derived from basically two punchlines: “Haha, they’re nerds” or “Haha, it’s just chess.” If you can’t tell, this gets old after the first 8 minutes of the film. Bujalski is most famous for making Funny Haha, often credited as the first true Mumblecore film, which happens to be my most hated recent cinematic movement. With Computer Chess, we are witness to exactly why Mumblecore can fail disastrously under the weight of its own pretense. 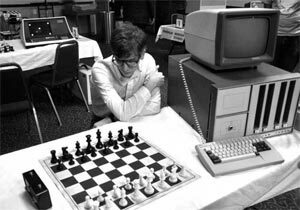 Ostensibly, the freedom and lo-fi ethos of a film like Computer Chess would allow some sort of unexpected, organic humanity to shine through. But the film launches no such noble attempt; rather, it is self-satisfied from the get go, smug in its own concept and not concerned with making sense at all of the product. While there are characters in the film to root for (the innocently naive Peter and the sheepishly demure Shelly come to mind), it’s not enough to fight the ever-present urge to simply turn the film off. You can’t blame this on the cast, either; most of the cast are first-and-only-time actors, no doubt so the “rawness” can shine through. But there’s simply nothing to work with, no substance or subtext to interpret. This movie would be just as boring and insufferable if Daniel Day Lewis played every role. Supporting Computer Chess and the people behind it would be akin to pampering a spoiled brat. You gotta sniff these out in the beginning, otherwise they’ll just repeat their awful mistakes over and over again. * I typed in Computer Chess three times into Google but instead Freudian slipped into “coffee enema”, which would’ve been much more enjoyable to write about than this film. This film is reviewed in conjunction with the Seattle International Film Festival 2013. Click below to see all related reviews and coverage.